In conjuction with the release of Bob Dylan (born born Robert Allen Zimmerman)’s new album, Modern Times, the first new album from the American singer-songwriter, author, musician and poet who has been a major figure in popular music for five decades in five years, Google Video has hosted several rare, never-seen-before and exclusive video footage of Bob Dylan’s lifetime, his legacy, and his indelible contribution to Modern Times. These video clips are been made available from the vaults of Columbia Records, and D.A. Pennebaker. The Legacy of Bob Dylan (Video Montage) – A montage of Dylan’s career and Modern Times that highlights Bob Dylan’s 45 years as a Columbia recording artist and performer. Pennebaker Documentary Don’t Look Back (Outtakes) – Outtakes of rare previously unreleased footage from the famous 1967 D.A. Pennebaker documentary Don’t Look Back. “Jokerman” (Music Video) – Lyrics to the song set, against artwork from throughout history, are interspersed with performance footage to create this compelling clip from the Infidels album. Impact and Influence – Dylan’s impact and influence, and footage from the early years. 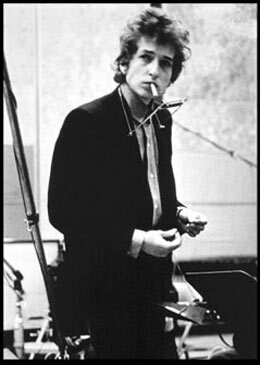 “Girl From The North Country” (Television Performance) – Bob Dylan was a guest on Johnny’s first show in July 1969, and this duet was taped at Nashville’s famed Ryman Auditorium. “Isis” (Live Performance) – One of Dylan’s most extreme performances live from the 1975 Rolling Thunder Review. “Political World” (Music Video) – This music video from the Oh Mercy! album in 1989 was directed by John Mellencamp. “Series Of Dreams” (Music Video) – 1991 expressionist video where collage images collide to mirror the dreamlike state evoked in the song. Considered one of Bob Dylan’s greatest videos, this clip was directed by Meiert Avis. “Dignity” (Music Video) – The first recording of this song came from Bob Dylan’s performance on MTV Unplugged in 1994. “Love And Theft” (Commercial) – The full length commercial filmed for 2001’s “Love And Theft” album was set to the music of “Tweedle Dum and Tweedle Dee.” The commercial features Bob Dylan and an unusual cast of characters, including magician Ricky Jay. 60 Minutes (Interview) – Bob Dylan was interviewed by Ed Bradley for a segment that aired on the show’s June 12, 2005 edition. All other videos can be found here. This entry was posted on Wednesday, September 6th, 2006 at 7:18 pm	and is filed under Music Video. You can leave a response, or trackback from your own site. One Response to "Bob Dylan Exclusive Music Videos, Documentary and Video Clips at Google Video"
CAN bob dylan DO A SONG ABOUT ME ???? as i’d like a date with PRINCESS BEATRICE 24/7 ??? for some reason bob dylan didn’t play LONDON this year ?? ?